Apollo Surgery Center Build-Out – RUSH, Inc. RUSH Construction served as the Contractor and provided some additional Design-Build options for the build-out of the second floor 9,850 s.f. over the existing operational Surgery Center. 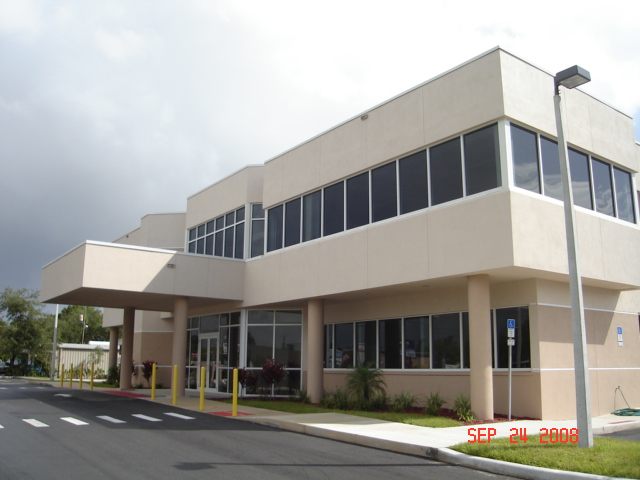 This AHCA compliant project consisted of creating three (3) more operating rooms and all the required departments and equipment needed to support this service. This Build-Out also included two (2) weekend outages changing out the existing Generator from 200 kw to a 600 kw and the other an 80 ton chiller to a 100 ton chiller including having to modify the existing steel support structure complete and ready for service Monday Morning. The existing building had under gone repairs to the exterior envelope finishing up with a new paint job. The building parking area also was resealed and striped without any interruptions to the ongoing operations to this facility. This project was carefully scheduled with the construction activities of work and the surgery schedule to avoid any conflicts/conditions that might cause any problems during any surgery.